Note: Sea ice data is from January 1979 to March 2011, and Northern Hemisphere snow data is from November 1966 to March 2011. "Sea level equivalent is the increase in global average eustatic sea level that would occur if all of this ice was transferred to the oceans. 'includes marine-based (floating) ice shelves, but excludes peripheral icefields. 'Mountain glaciers and polar ice caps, excluding the Greenland and Antarctic ice sheets but including dynamically independent icefields peripheral to each ice sheet (see chapter 6). dExtent is the total area of the region experiencing snow or ice cover. For sea ice, this includes all satellite pixels (with a resolution of ca. 625 km2) with an ice concentration of at least 15%; the remainder of the area in a pixel can be land or open water. Snow extent is defined by the edge of the region with near-continuous snow cover; there can be snow-free patches within this region. permafrost: frozen ground that ranges from a few meters to hundreds of meters deep. In contrast to this permanent ice, seasonal snow and ice fluctuate dramatically. Snow cover is the most variable element of the cryosphere. From 1966 to 2011, the Northern Hemisphere winter snow cover reached an average maximum extent of 46.7 X 106 km2: almost half of the Northern Hemisphere land mass (figure 1.3). There is almost complete loss of this snow each summer, with permanent snow cover limited to the interior of Greenland and the accumulation areas of other high-altitude and polar ice caps. Figure 1.1. Global (a) Arctic and (b) Antarctic sea ice cover, February 1, 2011. Also shown are the Greenland and Antarctic Ice Sheets. Data provided by the National Center for Environmental Prediction/NOAA and the U.S. National Snow and Ice Data Center. Images from The Cryosphere Today, University of Illinois at Urbana-Champaign (http://arctic.atmos.uiuc.edu/cryosphere/). of South America. Combined with the permanent blanket of snow over Antarctica, this gives a peak Southern Hemisphere terrestrial snow cover of 15.1 X 106 km2, approximately one-third that of the Northern Hemisphere. There is less of a seasonal cycle for the Southern Hemisphere snowpack, as most of Antarctica is too cold to experience summer melting. Snows are perennial across the frozen continent, with melting confined to the coastal periphery. As a tangential but delightful consequence of this, earthshine is exceptionally bright in December and January, when the Sun is sojourning in the Southern Hemisphere and reflected sunlight from Antarctica adds to the solar illumination of the Moon. In a sense, everyone in the world can see the Antarctic snows in the lunar orb. The white blanket that spreads over the land surface each winter has a direct parallel in the high-l atitude oceans, where sea ice forms a thin veneer that effectively transforms water to land for much of the year. 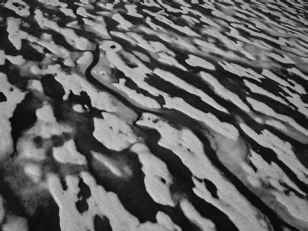 Figure 1.2 illustrates a "field" of snow-covered ice floes aligned by the wind during sea-ice breakup in early summer (June 2005). Sea ice is made up of a combination of first-year and multiyear ice. First-year ice forms anew from in situ freezing of seawater each year. Multiyear ice has survived at least one summer melt season, persevering through two main mechanisms: (i) some ice remains at high latitudes as a result of being landfast, stuck within a channel or bay, or cycled within ocean gyres that trap rather than export the ice; (ii) ice floes ridge or pile up in areas of convergence, producing thick, resilient ice. These mechanisms often operate in concert and are more prevalent in the Arctic than the Antarctic, resulting in a thicker ice cover and more multiyear ice in the north. Relative to the continents, seasonal cycles of ice in the oceans are more hemispherically symmetric (table 1.1), although there are interesting north-south contrasts. Passive microwave remote sensing for the period 1979-2011 indicates an average minimum Northern Hemisphere ice area of 4.8 x 106 km2, typically reached in September. Maximum ice cover is usually attained in late winter, with an average March ice-covered area of 13.6 x 106 km2. Sea ice in the Southern Ocean has a larger seasonal cycle, with relatively little multiyear ice. Annual mean sea-ice cover in the south is 8.7 X 106 km2, varying from 1.9 X 106 km2 (February) to 14.5 X 106 km2 (September). Combining the hemispheres, global sea-ice area is relatively constant, varying from 15.4 X 106 to 20.8 X 106 km2, with a minimum in February and a peak in November. Global ice extent—the area of the oceans containing sea ice, as demarcated by the ice edge—varies from 18.4 X 106 to 27.3 X 106 km2. Mean annual global ice area and extent are 18.5 X 106 and 23.9 X 106 km2. Combining the snow and sea-ice cover, the seasonal cryosphere blankets 59 X 106 and 30 X 106 km2 in the Northern Hemisphere and Southern Hemisphere, respectively. Figure 1.3 illustrates the geographic distribution. Additional elements of the cryosphere include seasonally frozen ground and freshwater (river and lake) ice. This snow and ice cover influences the surface albedo and energy budget of the planet fluxes of heat and moisture between the atmosphere and surface and the patterns of circulation in the ocean and atmosphere. Each element of the global cryosphere interacts with and affects weather, climate, and society, and each is highly sensitive to global climate change. make it such a peculiar and intriguing substance. 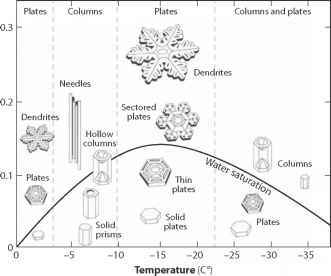 The thermodynamics of snow and ice are examined in chapter 3. Chapters 4-7 provide an overview of Earth's different cryospheric realms: seasonal snow, freshwater ice, sea ice, glaciers, ice sheets, and permafrost. I discuss cryosphere-climate processes and the role of the cryo-sphere in the global climate system in chapter 8. Chapter 9 concludes with a perspective of cryospheric changes throughout Earth history, including a brief overview of cryospheric vulnerability to recent and future climate warming. This offers an entry to some of the important aspects of snow and ice in the global climate system. It is not possible to provide a comprehensive overview within the pages of this volume, so I confine the focus to a basic physical introduction to the cryosphere and cryosphere-climate interactions. Many fascinating aspects of the cryosphere, such as avalanche science, snow and ice microphysics, ice cores, and cold regions geomorphol-ogy, are overlooked. Interested readers will find many excellent texts that delve deeper into snow and ice science, and suggestions for further reading for each chapter are provided in the Annotated Bibliography.